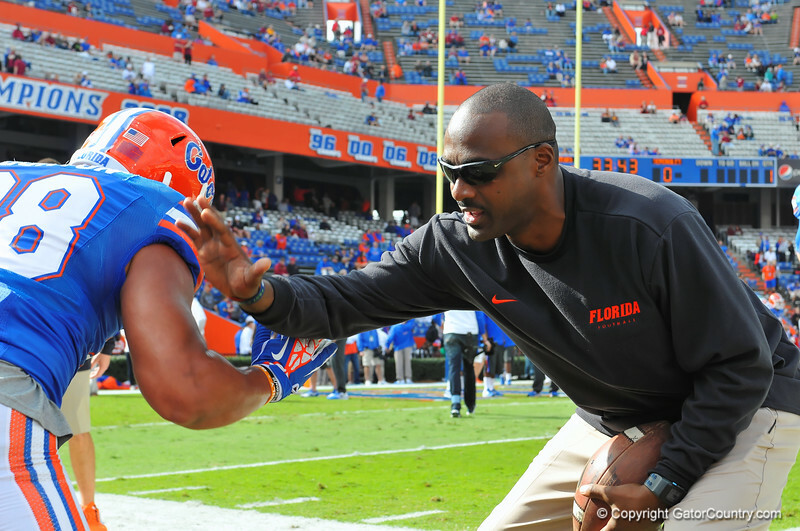 Florida tight ends coach Derek Lewis working with the tight ends during warmups. Florida Gators vs Florida State Seminoles. Gainesville, FL. November 30, 2013.